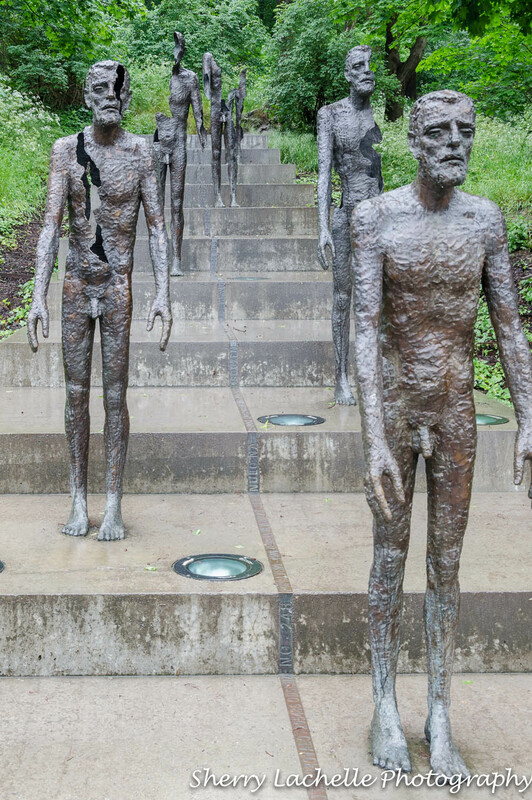 During the five weeks I spent researching and planning this month-long 9 country European odyssey, I saw photos of an amazing garden called Vrtbovska Zahrada. It was under $4 to gain entry and I was determined to find it. 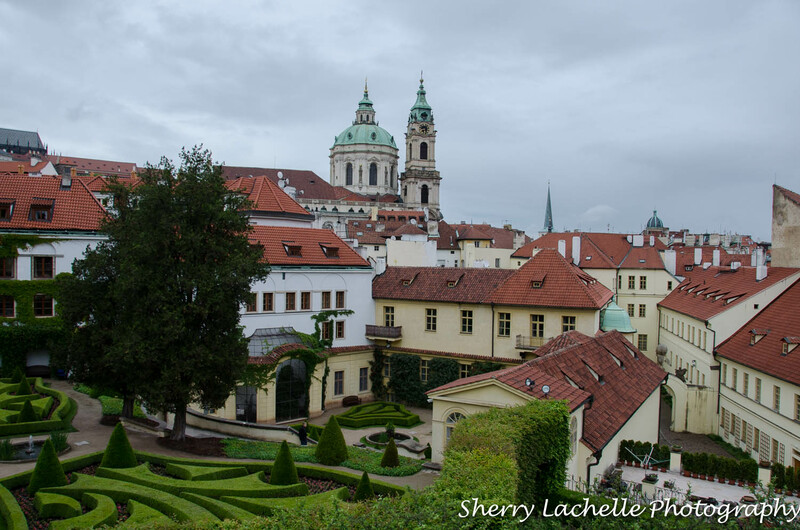 In yesterday’s post, we walked down Petrin Hill in search of the gardens and found it! As you can see, it’s absolutely gorgeous! With the Charles Bridge and Prague in the background, this solitary row-boat appeared to be quite “solitary”! I left off yesterday having explored some of Wenceslas Square in New Town and Old Town Square. When I presented this trip to my Travel Spirit Meetup.com, I stressed the point that we would be traveling together as independent travelers, meaning if you wanted to stay with the group you could, and if you wanted to divide off with someone else or a separate group, you could and should. At various times during the tour, people would do that. I enjoy solo traveling and believe it empowers people, so I encouraged others to take at least a few hours by themselves, exploring. 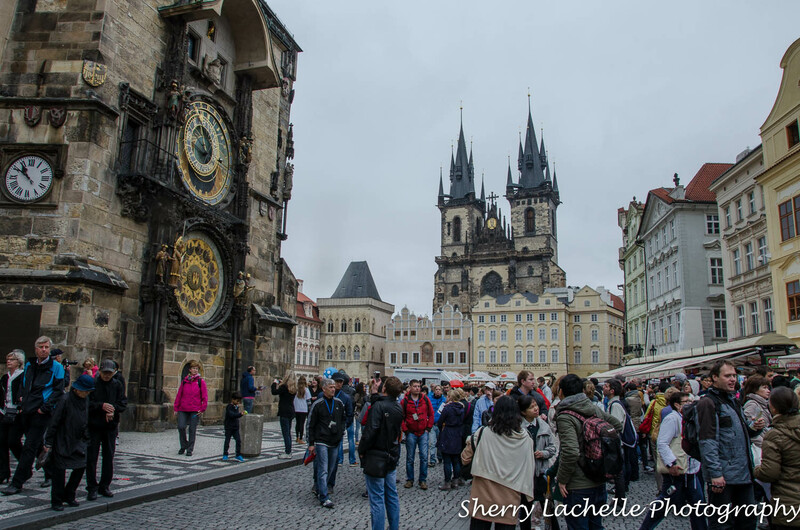 The Astronomical Clock in the center of Old Town Square is on the tourist’s “must do” list, so we did it. There were twelve of us traveling through Eastern Europe for 11 days. Shifting from one leg to the other to take pressure off of my back, it was hard to believe I was finally there. When the figures finally did their thing (I forget now what they did because I watched a clock in Munich also), it was a bit anti-climatic. I was more interested in taking photographs of the amazing architecture and people! I loved watching the giant bubble maker making his bubbles and children trying to pop them! I couldn’t believe my ears when I arrived to the Delta Airlines check-in desk at the Cincinnati airport and the Reservations Clerk said, in a cavalier tone, “Your flight to Newark, NJ has been cancelled due to weather. Come back in the morning for the next flight.” I explained I was leading a group of people through Europe and it was very important to arrive as soon as possible. After checking some other options, he explained that was my only option. My husband drove the 50 minutes back to the airport to pick me up and in the morning made the third trip to the airport to drop me off. I’ve always liked Airports. The anticipation of going somewhere new, the people watching, and even the photo ops. Who knew restrooms can look “artsy”. On my overnight flight from Newark to Amsterdam, I was seated between two men traveling together. I intended to get as much sleep as I could, but they were so funny and interesting, we talked and laughed for more than half of the flight! I had arranged for an airport shuttle to pick up the 12 travelers in my group. They arrived at various times, so there were a number of trips. After notifying one of the travelers of my late arrival, they decided to wait the extra two hours for me to take them on Day 1’s list of activities: Taking Tram 22 to the Prague Castle Complex, which includes St. Vitus Cathedral, the Powder Tower, Rosenberg Palace, and the Old Royal Palace; strolling down from the Castle area on Nerudova Street across the famous Charles Bridge. After checking into the hotel and taking five minutes to freshen up, I joined the group in the lobby for the day’s activities. The first photo I took in Prague was while we were waiting to hop on Tram 22. When I requested permission to take this woman’s photo, she asked “why” with a puzzled look. I responded, “Because I like your pants and your dog”. 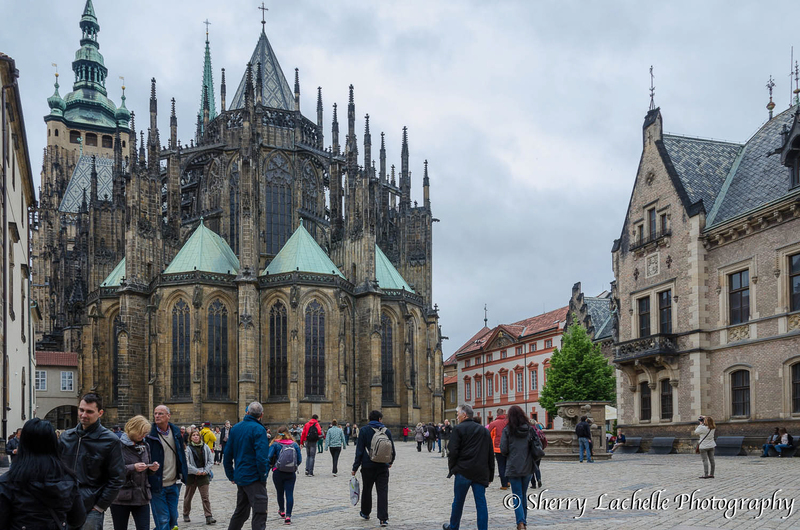 So, now we’ve arrived at the top of the hill where the Prague Castle Complex is situated, including St. Vitus Cathedral.